The Market Remember when: What have we learned from the 1980s and that 21% interest rate? Remember when: What have we learned from the 1980s and that 21% interest rate? The house Steve Douglas and his wife bought in Brampton, Ont., back in the 1980s, seems like a steal by today’s standards: It cost just $189,000. But the interest rate on his mortgage was anything but a deal – it was a whopping 18 per cent. A huge swath of Canadians are too young to remember those extraordinary days of super-high interest rates. But while a return to such heights is not a likely prospect, economists say, it wouldn’t take much of a hike to play havoc with the finances – and the psyches – of today’s homeowners. 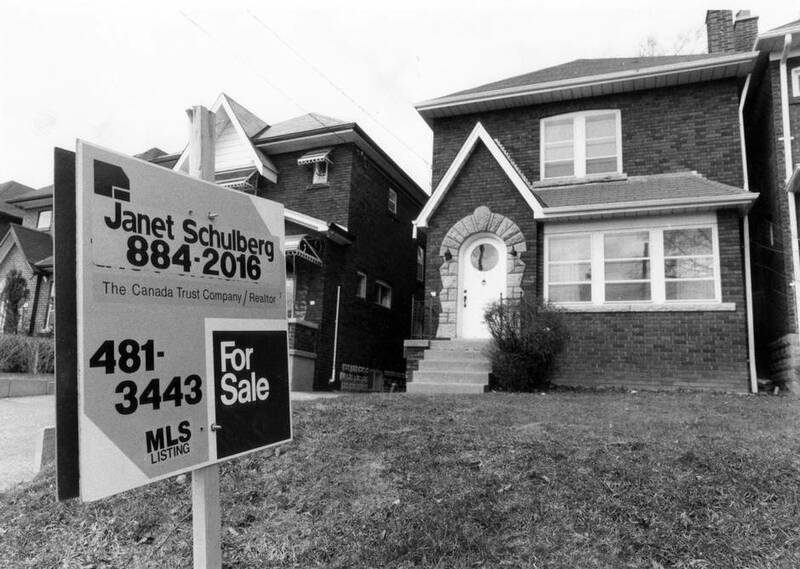 Five-year fixed-rate mortgages were more than 15 per cent for about two years, from the fall of 1980 to the fall of 1982, peaking at just over 21 per cent in the second half of 1981. The Bank of Canada was cranking up its rates at the time, to try to stem the runaway inflation that was playing havoc with the Canadian economy. But home buyers had to endure relatively high rates for much longer than just that stretch. Five-year fixed mortgage rates never fell below ten per cent for a full 18 years – from 1973 to 1991. 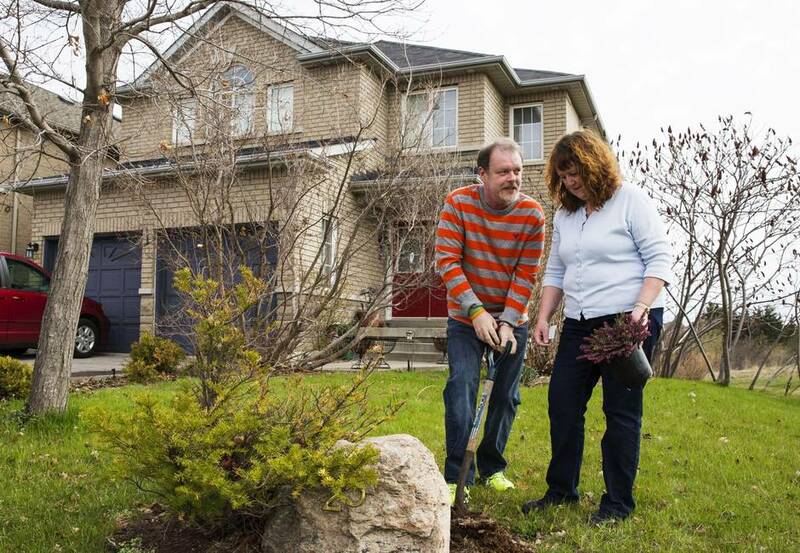 Mr. Douglas, a graphic designer who runs a company called The Logo Factory, now has a different house in Brampton (and a different wife) and his current mortgage is at 3.2 per cent. He recalls those tough days of sky-high mortgage rates as “an awful time” that he would not want to revisit. The return to a high-interest-rate scenario would send shivers up the spine of any Gen-Xer or millennial who has just bought a house or a condo and is paying 2.79 per cent for the privilege of borrowing half-a-million dollars or more. There are a number of reasons why rates – when they do start to rise – are unlikely to climb to the levels of the 1980s. First of all, “central bankers now have 20 or 30 years of experience fighting inflation,” Mr. Tal said, and they are not as likely to “overshoot” in their attempts to stop inflation by jacking up interest rates too sharply. There is also less chance that inflation will gain ground in the first place, as the globalization of the past few decades has been a significant disinflationary force. Low-priced imports from developing countries have helped keep domestic prices down, and that situation is not likely to change significantly in the next while. “I would rate it as very, very unlikely to go back to those kind of levels [of the 1980s], at least in the foreseeable future,” said Bank of Montreal chief economist Doug Porter. One crucial structural reason for that, Mr. Porter noted, is that Canada’s demographics have shifted. In the years leading up to the 1980s, the huge baby-boom cohort was entering the labour force, buying houses and becoming big borrowers. A spike in oil prices, and high wage demands, helped pushed inflation even higher. Now, an older population means a lower demand for funds and thus less upward pressure on prices. Unions also have less influence, and thus less power to get substantial wage increases, Mr. Porter said. Even if inflation does begin to raise its head, or the economy heats up to a degree that makes the central bank begin to worry, a small rate rise would probably be enough to cool things off. In that case, Mr. Tal said, the “disease” of interest-rate sensitivity would also provide the cure. And when rates do go up, the Bank of Canada is likely to move very slowly, testing the waters with incremental increases and carefully monitoring the impact. The reason why small increases in interest rates could be so damaging to borrowers – especially mortgage-holders – is that Canadians now have far more debt relative to their incomes than they did in decades past. In the early 1990s – as far back as the Statistics Canada numbers go – Canadians, on average, owed between 87 and 95 per cent of their annual disposable income. Since 2012, that ratio of debt to disposable income has risen to 163 per cent. That hasn’t crippled families though, because low interest rates have kept payments reasonable. The debt-service ratio – the interest actually paid out relative to disposable income, has fallen from about 10 per cent in 1990 to less than seven per cent today. If rates go up – and not even remotely close to the levels of the 1980s – many people will be paying out a far greater proportion of their income in interest, possibly forcing some to abandon their houses or declare bankruptcy. And a correction in the housing market would be an inevitable corollary. Sept. 2008: The U.S. financial crisis spreads around the globe after the bankruptcy of Lehman Bros.